Discussion in 'The Poker Talk Corner' started by Marina, May 20, 2015.
you have a bad hand. Bluffing goes both ways. You can, and should, make sure that you hide your elation when you get a royal flush so that you can get as much money as you can out of your opponents. But the most common bluff is when you bet on weak hands. But, like life, the way to win at poker isn’t when times are easy, but when times are tough. without the bluff even being a factor. 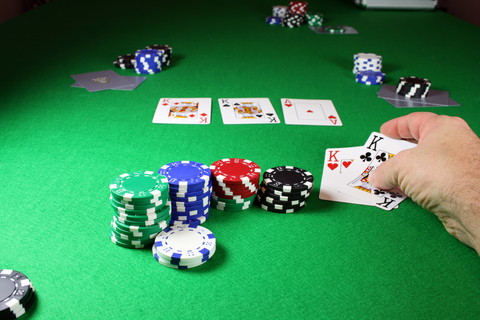 you may just want to bluff harder to make them fold, so long as you think your hand is better. Conversely, if you think someone has a four-of-a-kind, don’t bother bluffing. They’re not going anywhere. other people, go for it. People who have just won a lot of money sometimes make easy marks too since they get protective of their money. There are some very good times to bluff and some absolutely terrible times to bluff. One of those times is against someone who’s hardheaded and not going to fold, or a novice (sometimes that’s one in the same). They’re in it for the long haul and nothing you do is going to dissuade them. Another time you’ll never want to bluff is when there is simply too much money on the line to quit. If you’re playing for dollars and there’s $100 in the pot, no one’s walking away without a fight. It may sting a little, but fold. Finally, don't bluff against a drunk person. They’re not looking for your bluff and they probably wouldn’t care if they noticed. Just beat them with better hands because they’re playing sloppy cards. they don’t believe you. If you bluff too little, you’ll have tells that people will begin to notice. the second hand on your watch is reads a multiple of 10 seconds. How Much Do You Bluff With? This one’s pretty simple. Don’t bluff with too much, you’ll look desperate and (let’s face it) you’re not Moneymaker in 2003. Don’t bluff with too little or you’ll keep the game going for an uncomfortable amount of time. steely-eyed to the point that they’re glaring or maybe they’re clenching their jaw a little too hard to keep their mouth straight. Those are good tells. Pay attention to yours too. One of the most interesting things that have been studied in regards to tells, and one thing you might want to look for in yourself and your opponents, is arm movements when they put money down. Jerkier, less smooth movements may betray that stone face since it indicates a lot of anxiety. bluffing, even if their hand is decent. Hopefully you’ll be able to take this to the tables and bluff the money right out of your opponents’ wallets. Some really nice tips! Thank you!